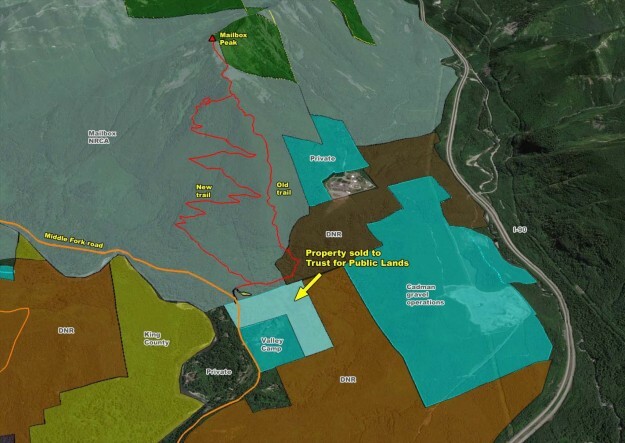 In January, 2017, Forterra announced the purchase of two large parcels of land from the Cugini family, one of which includes the Blethen Lakes. 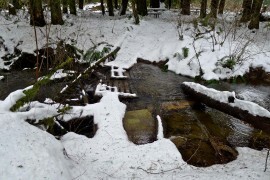 These small lakes are the headwaters of Quartz Creek which drains into the Taylor River just above the confluence with the Middle Fork Snoqualmie river. 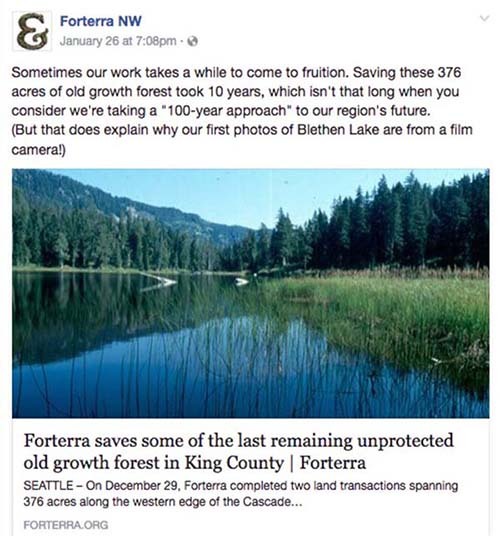 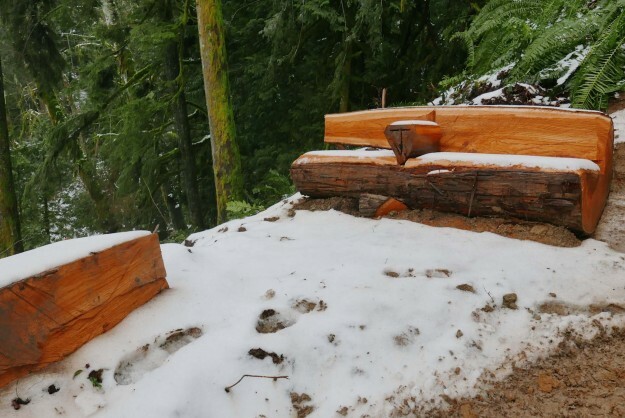 According to Forterra, the DNR and other conservationists, work on this deal has been going on for 15 years and only now has come to fruition as the parties involved agreed on a fair appraisal value that considered the full value of the timber on the property. 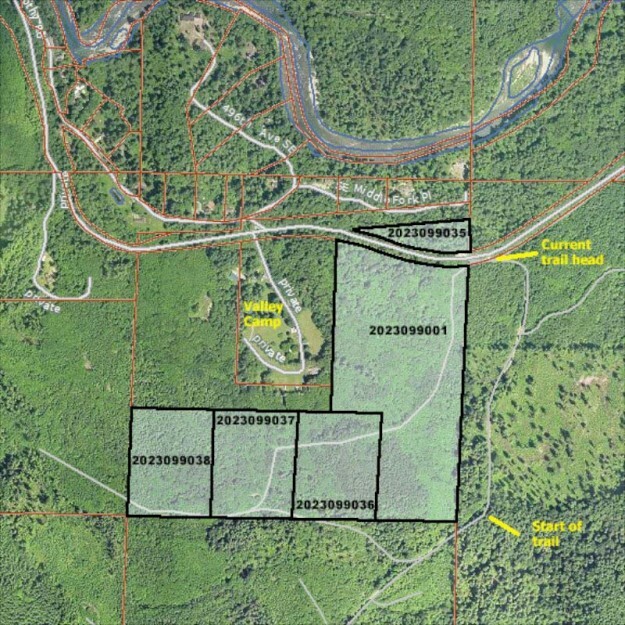 The price for the Lake Blethen property was $895K, with the funding coming from contributions and the Land and Water Conservation Fund via the US Fish and Wildlife Service. 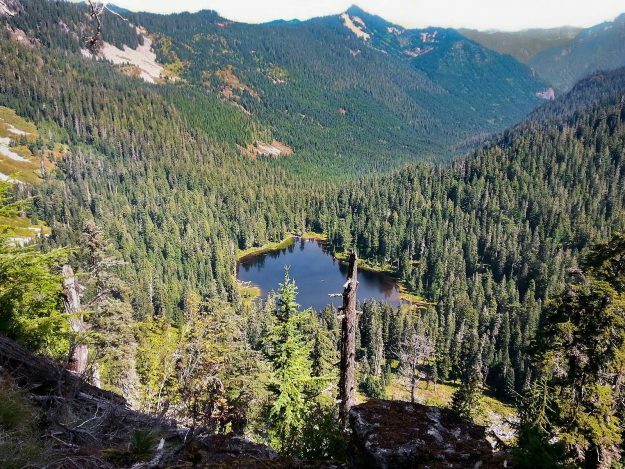 Blethen Lakes from Bessmer. 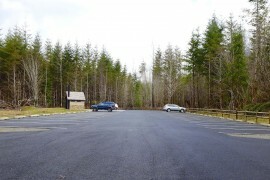 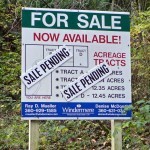 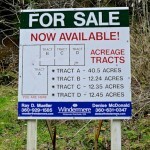 The purchased land includes lower Blethen Lakes. 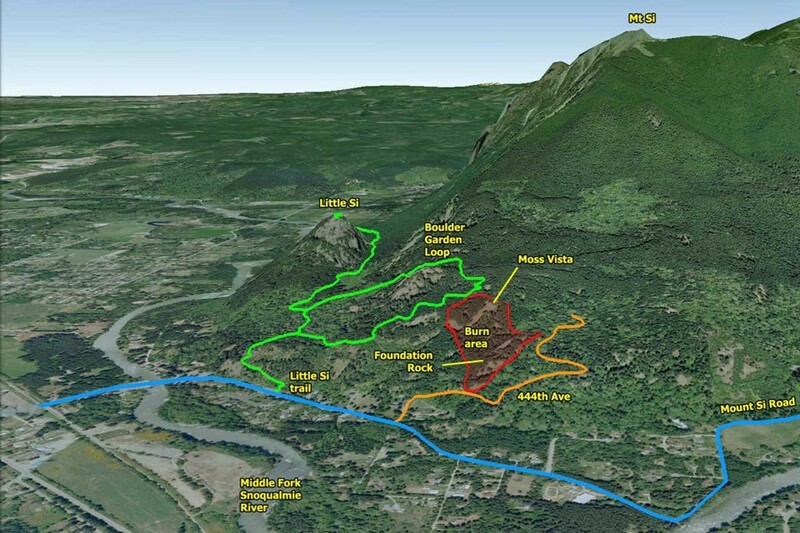 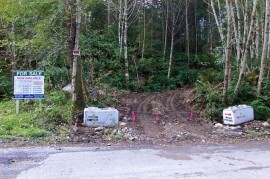 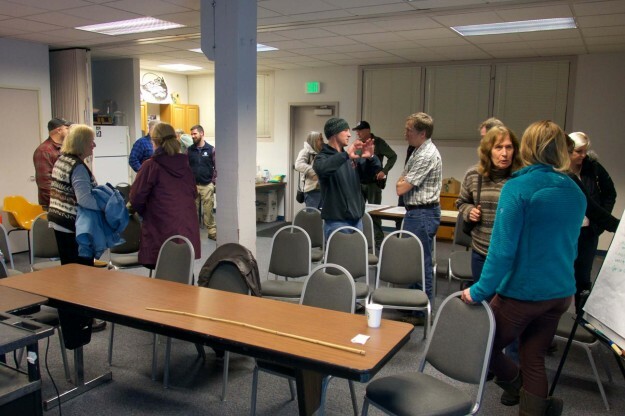 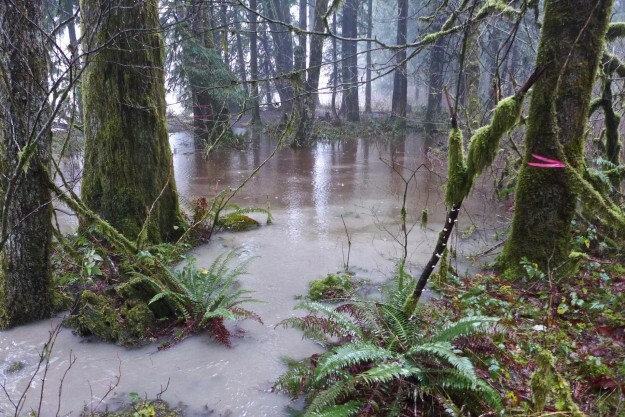 The surrounding property is either in the DNR’s Mt Si NRCA or part of the Mt Baker-Snoqualmie National Forest. 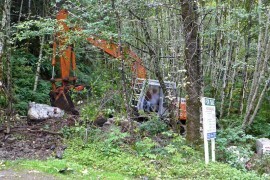 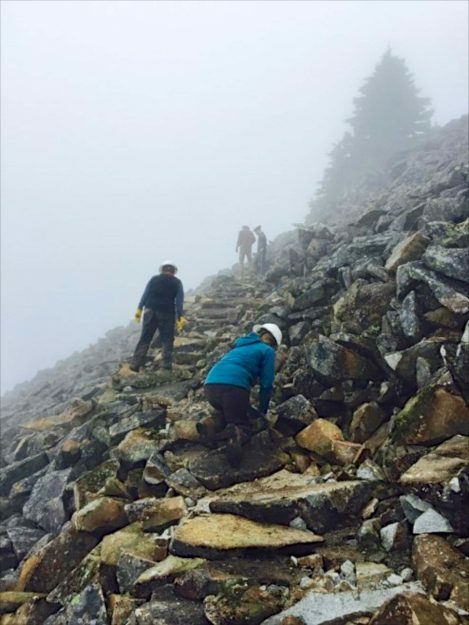 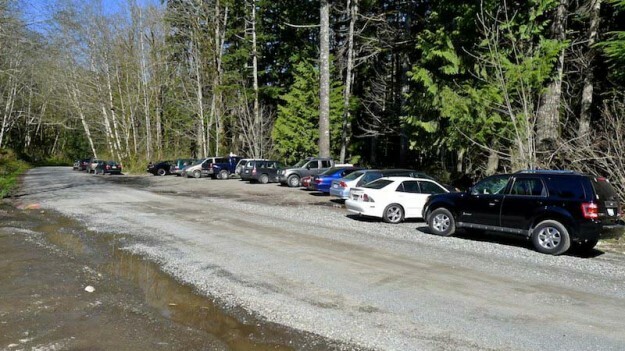 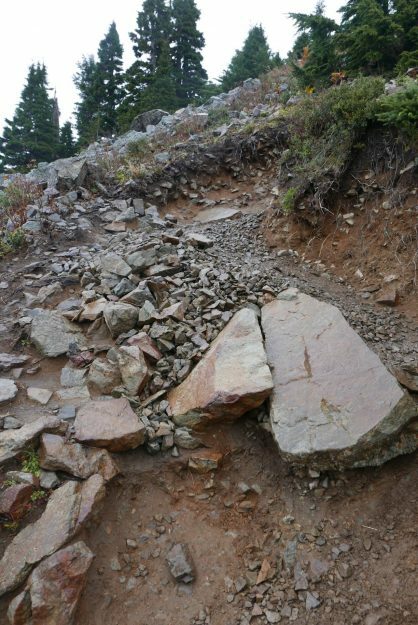 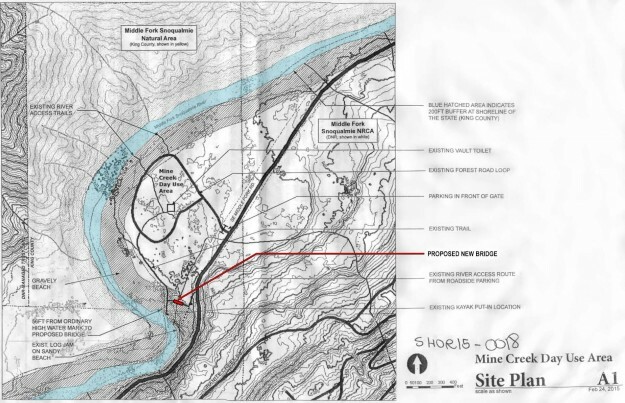 Mining of talus rock will presumably stop now. 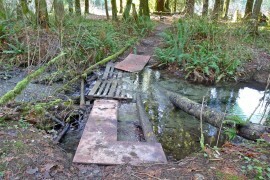 Blethen Lake is difficult to get to. 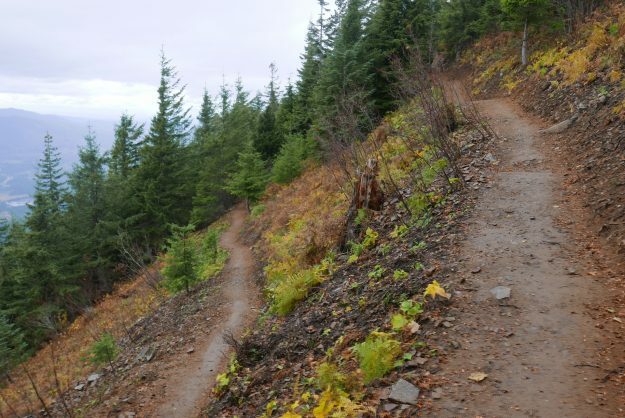 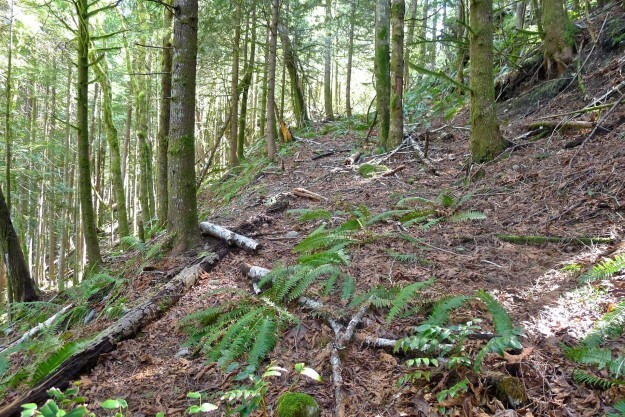 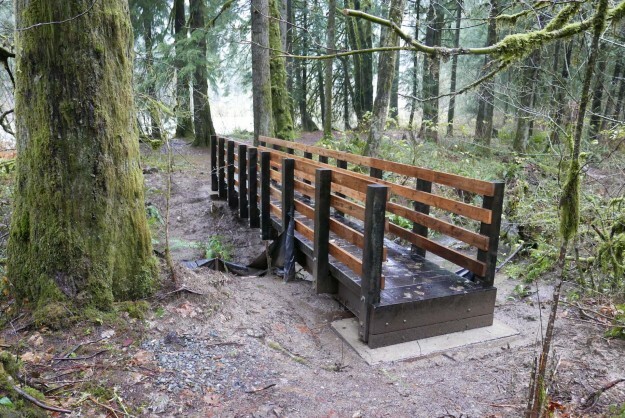 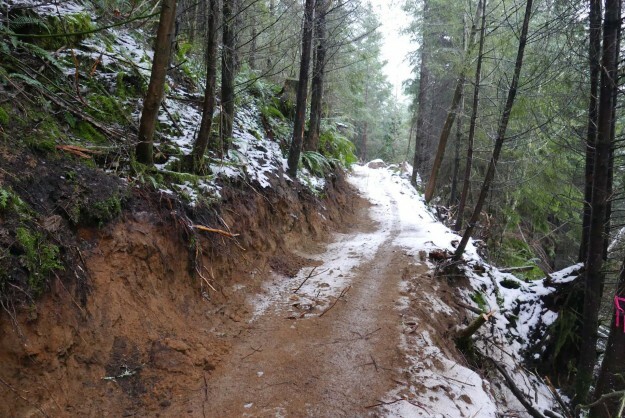 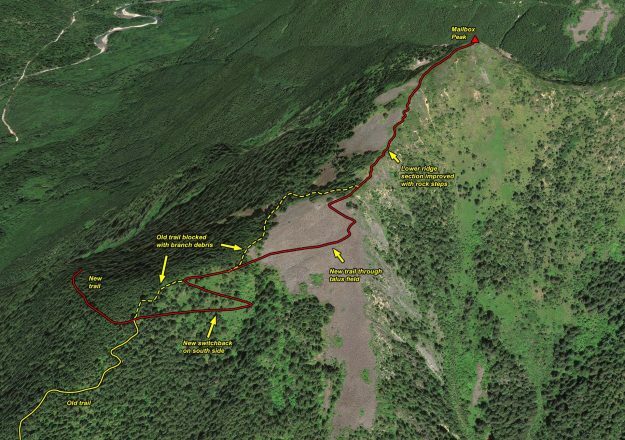 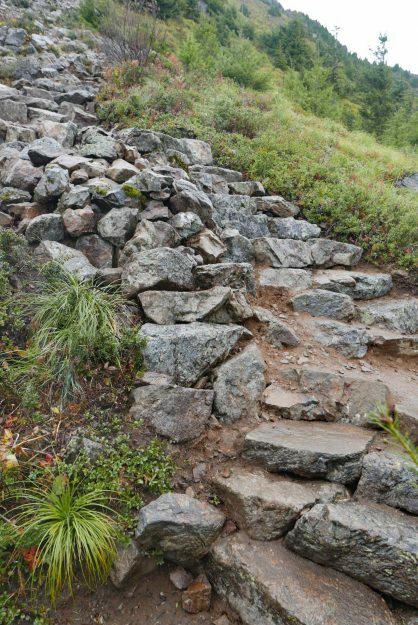 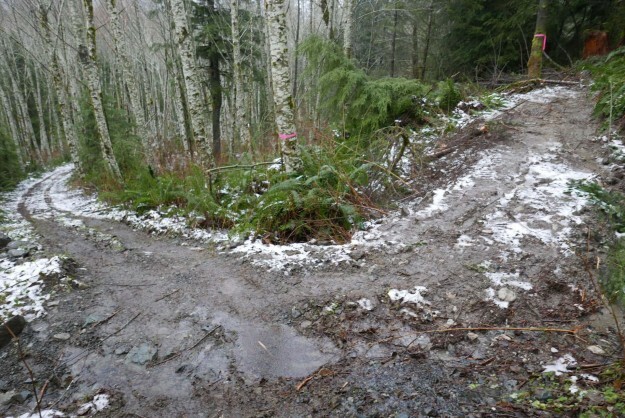 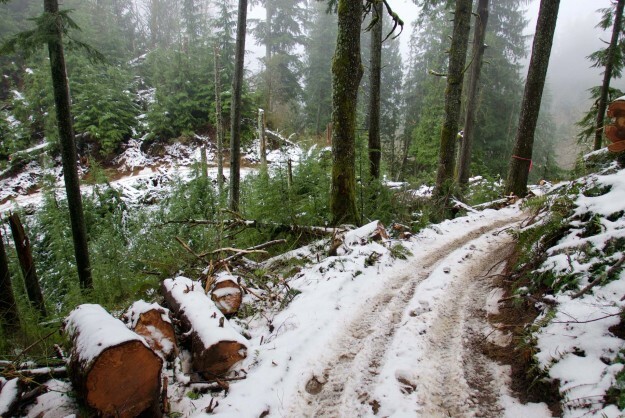 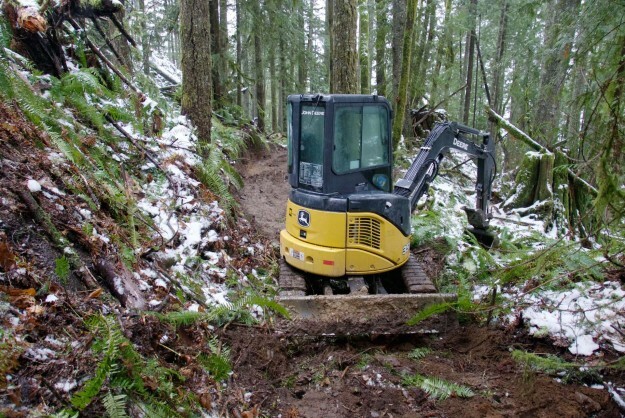 One choice is to purchase a Campbell non-motorized pass and walk or bike the 11 miles (each way) of logging roads from the Spur 10 gate to the pass between Hancock and Quartz Creek. 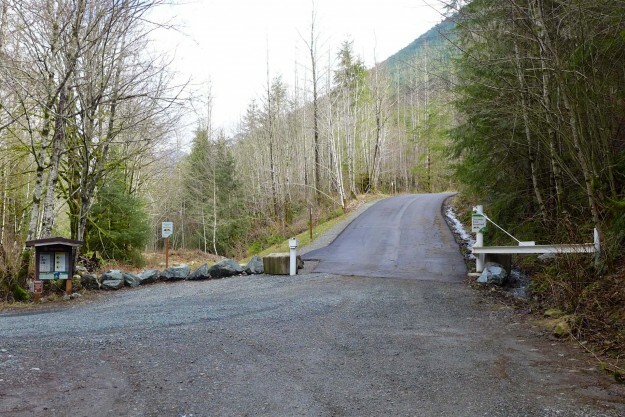 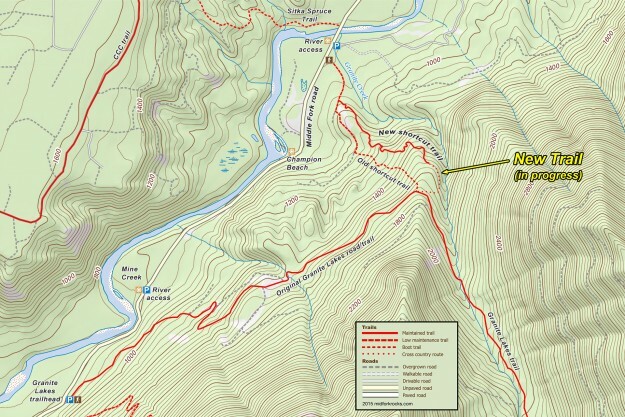 A shorter route is to start at the Taylor River trailhead in the Middle Fork valley and walk up the old Quartz Creek road. 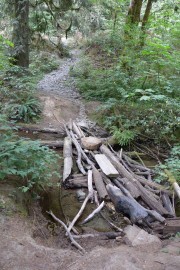 Unfortunately, this has become increasingly overgrown over the years and several of the old bridges have been washed out leaving deep gullies, one of which is quite difficult to cross. 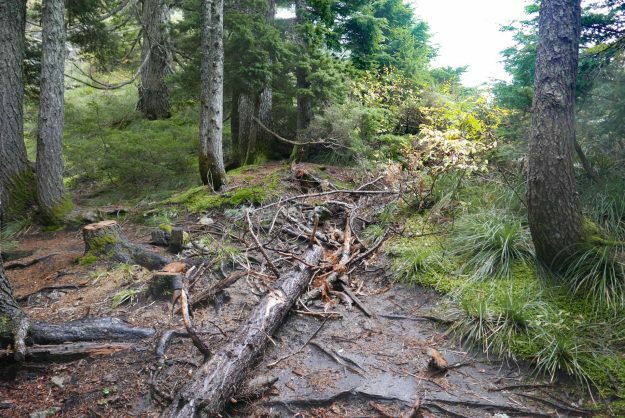 Volunteers did some trail clearing in 2016 so it may be slightly better now. 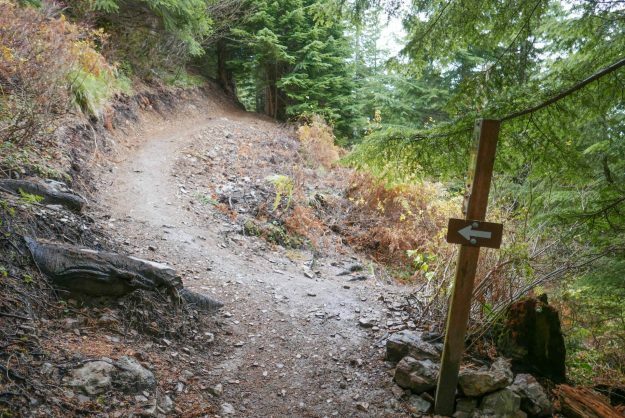 The old road/trail ends about 3/4 of a mile before you reach the lake. 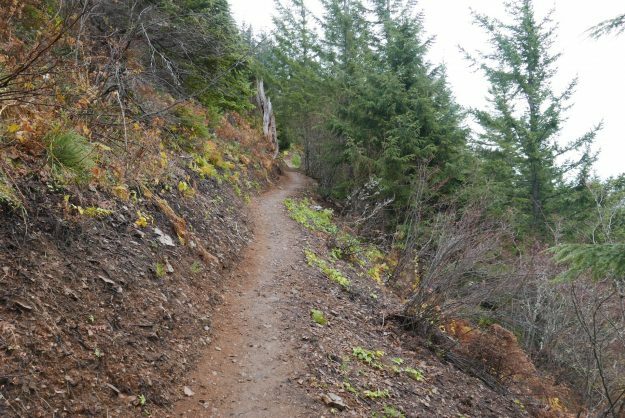 There are rumors of an old trail, but most people who reach the lake these days do so as a winter snowshoe trip to avoid the brush. 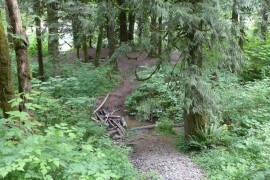 Blethen Lakes from Paperboy. 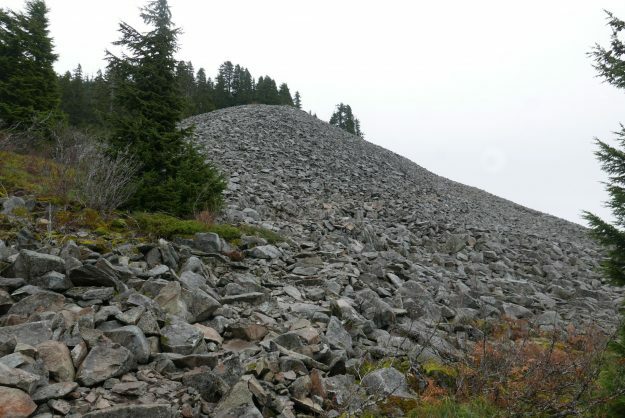 The upper lake is barely visible at the Quartz/Hancock Creek saddle. 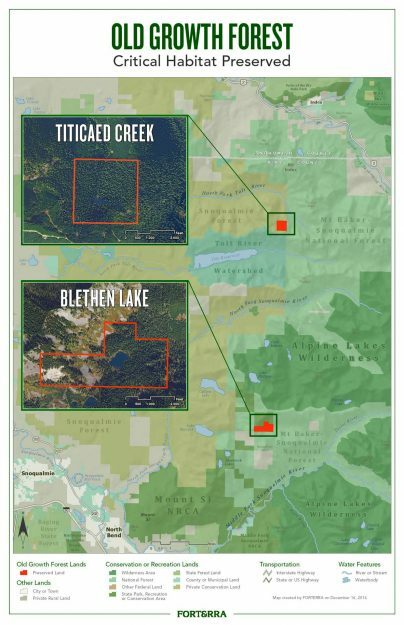 Forterra map of the purchase included in their press release. 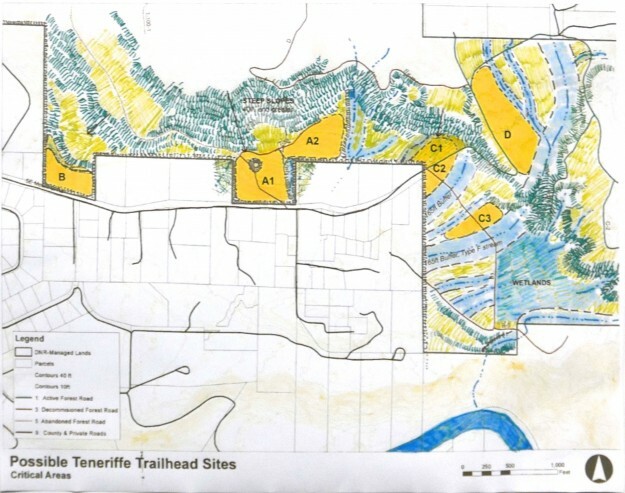 The Blethen Lake and Titicaed Creek parcels were 220 and 156 acres respectively. 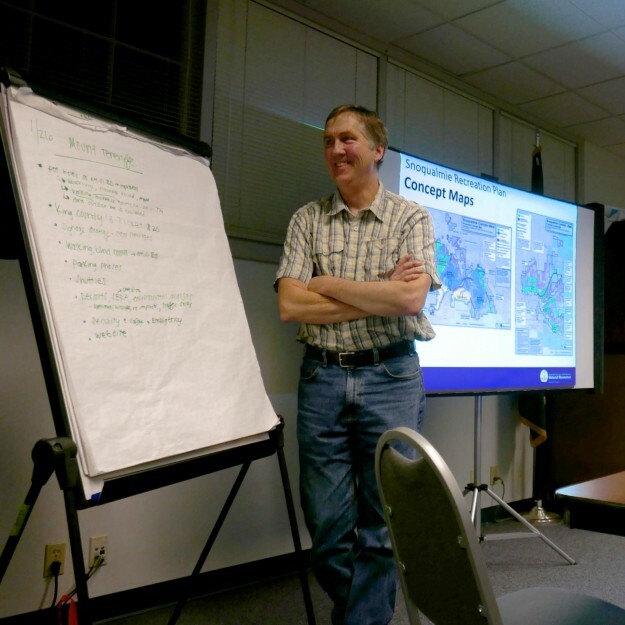 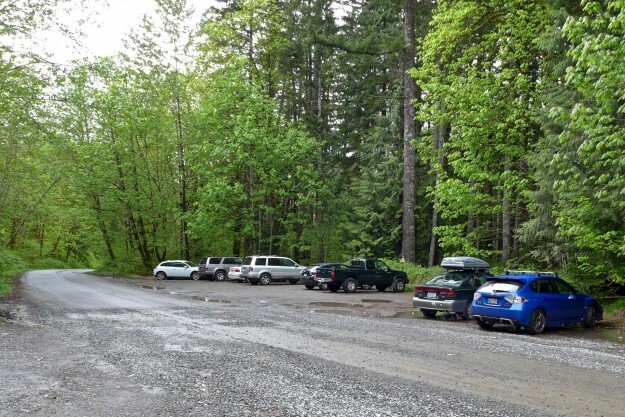 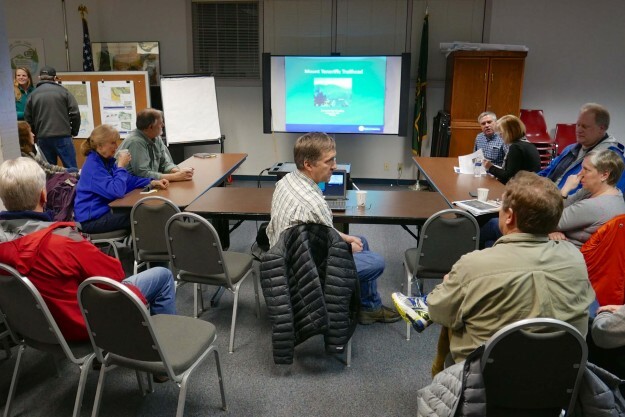 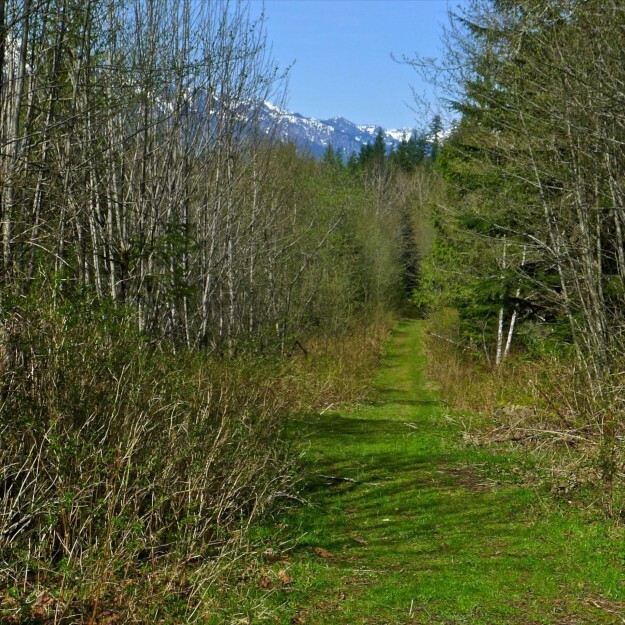 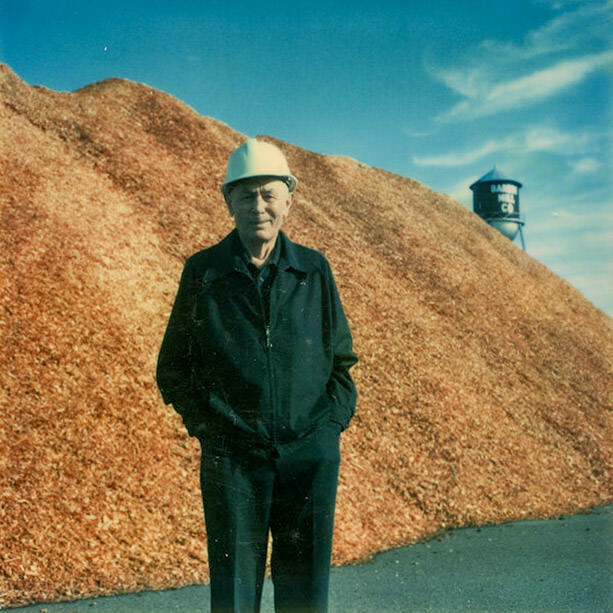 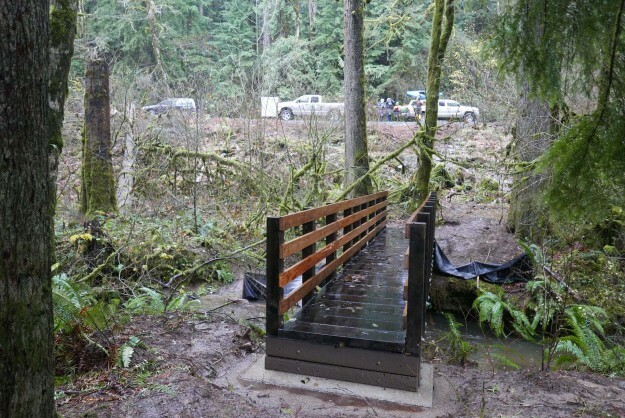 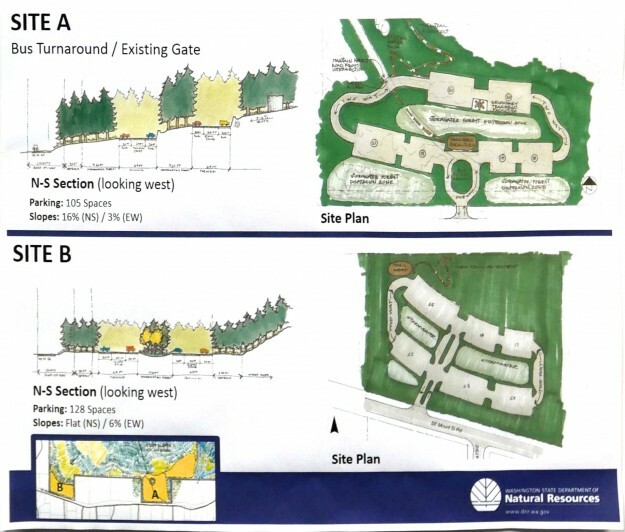 10/27/2016 Recreation and Conservation Office project 16-1439 – Department of Natural Resources grant proposal to buy 891 acres in east King County. 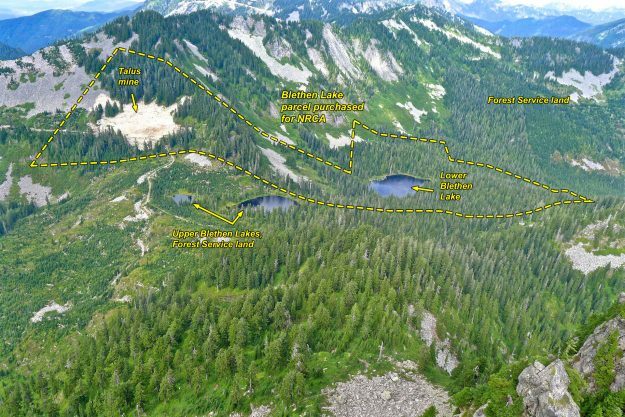 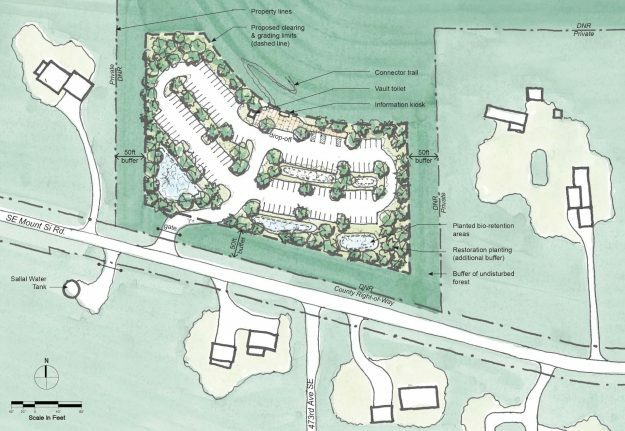 This proposal includes other parcels besides the ones mentioned above, but has a tantalizing suggestion from ALPS that a trail to Blethen Lake may be a possibility in the future. 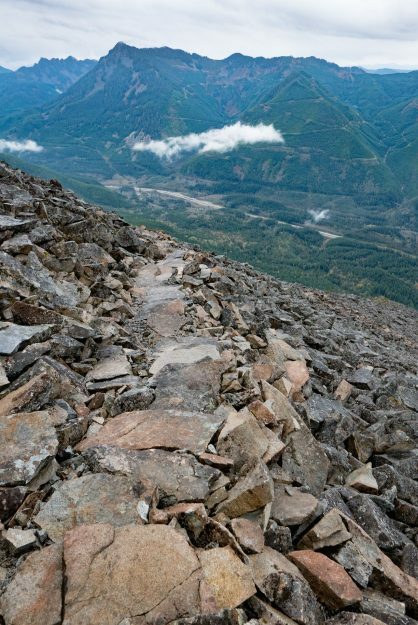 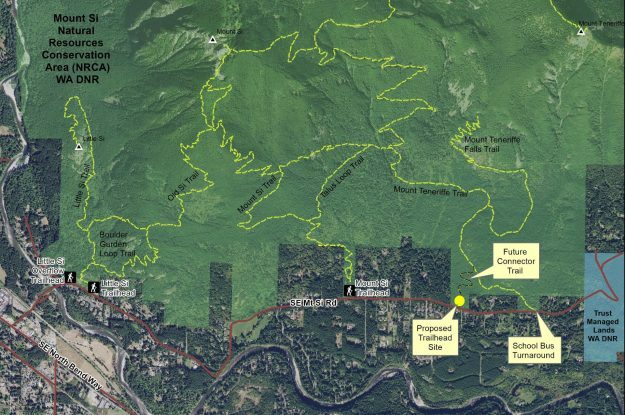 DNR: 632 acres in the Mount Si Natural Resources Conservation Area, 179 acres in the Middle Fork Snoqualmie Natural Resources Conservation Area, and 80 acres in the Rattlesnake Mountain Scenic Area. 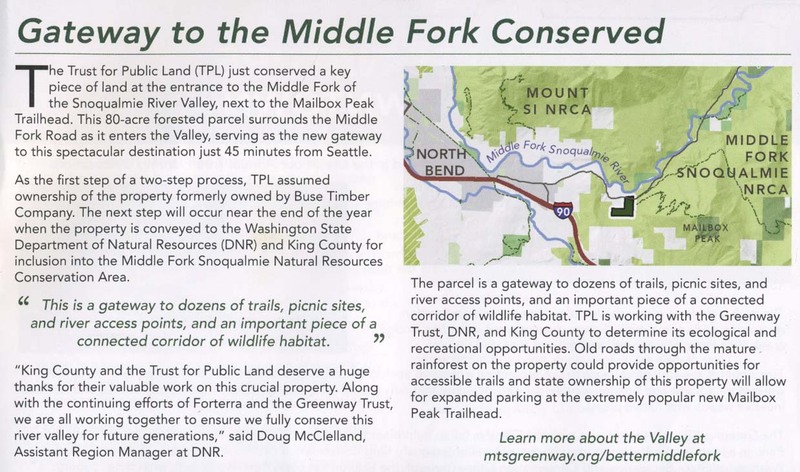 The land includes key areas in the Mountains to Sound Greenway that are threatened by residential development and provide crucial wildlife habitat in an urban area. 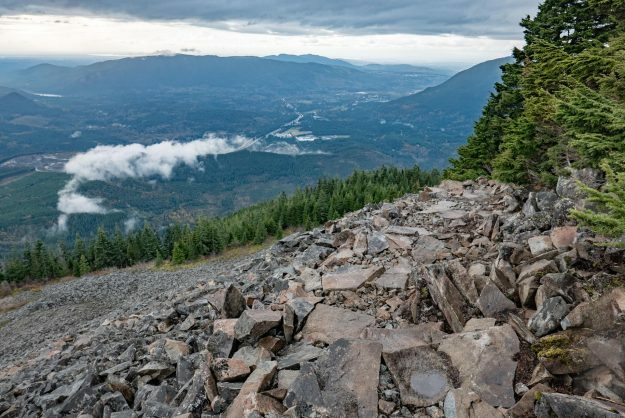 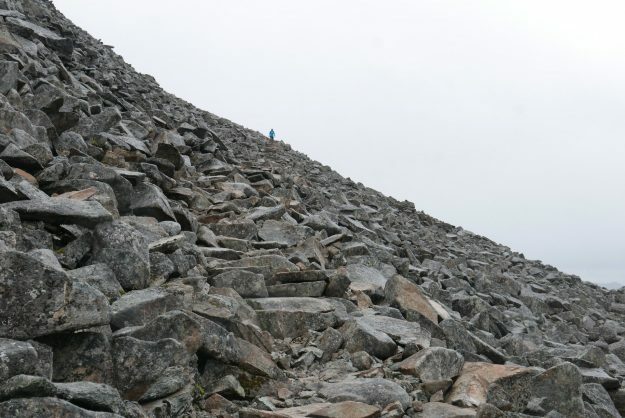 … Distinctive features include talus, high and low elevation lakes, numerous streams, wetlands, old-growth and mature forests, cliffs, and landscape connections for wildlife. 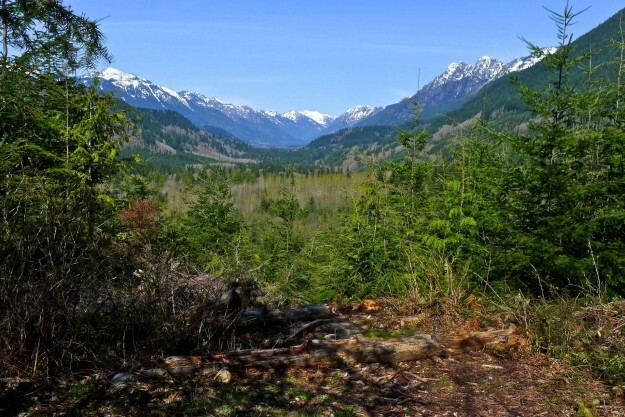 Wildlife at these sites include a variety of animals, including cougars, bobcats, mountain goats, black bears, coyotes, elk, red-tailed hawks, osprey, barred owls, pygmy owls, and pileated woodpeckers. 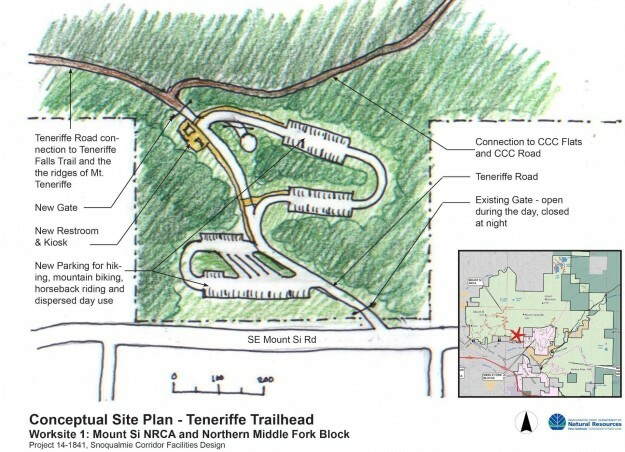 The department will allow low-impact public use and outdoor environmental education on the land. 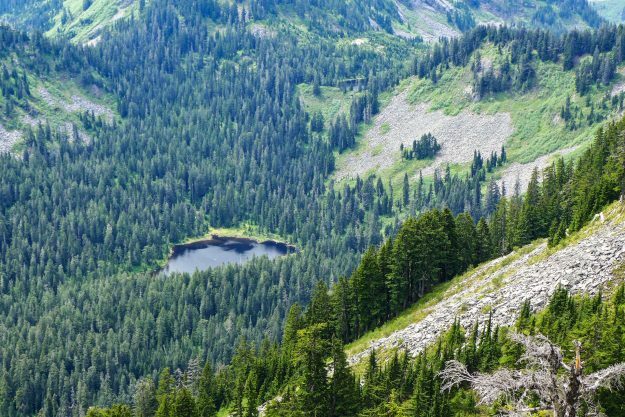 ALPS: Lake Blethen also holds old growth forests, with some very old and impressive western red cedars. 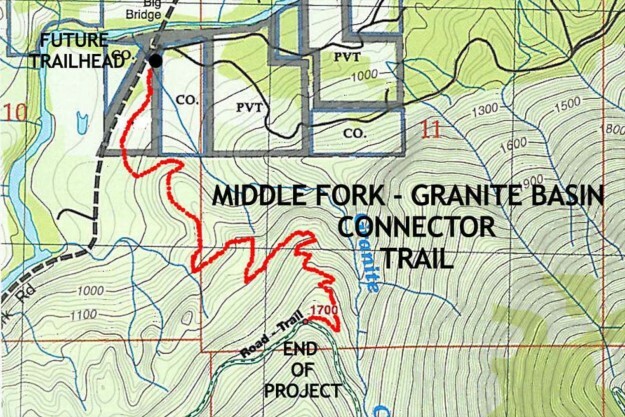 It might possibly make a good destination for a new trail in future. And all the other parcels identified by DNR have outstanding values which will only increase as time passes and this area becomes more and more the focus for people seeking to escape Seattle to someplace wild and natural. 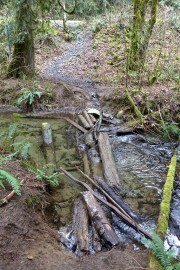 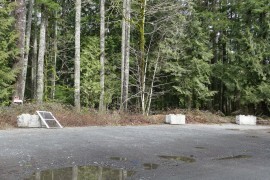 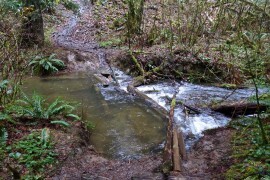 This entry was posted in Quartz Creek and tagged DNR, public land on 2017/02/03 by mvanderbilt.